Vera Aust, passed away on Tuesday, November 4, 2008, at The Retreat of Palisade in Palisade, Colorado. She spent over sixty years in Eckert, Colorado, before moving to Palisade to be closer to her family. She was 97 years of age. Vera C. Phillips was born on September 8, 1911, to Thomas Jefferson and May Isabelle (Dunfee) Phillips in Guymon, Oklahoma. She spent her childhood in Guymon, Miami, Florida and Palisade, Colorado. She graduated from Palisade High School in 1929. She earned her Teacher’s Certificate from Western State College in 1934 and her B.A. Degree in Education in 1959. Vera taught for many years in the Delta County School District No. 50 in Cedaredge, Eckert and Delta. As a third grade teacher she made it her goal to always help each child be the best they could be. Many of her students have commented that she was their favorite teacher when they were growing up in Delta County. On May 23, 1937, Vera married Donald F. Aust in Cedaredge, Colorado. They had celebrated over fifty-nine years of marriage before his death on February 1, 1997, in Eckert. Vera was a member of the Eckert Presbyterian Church. She belonged to the Cedaredge Order of Eastern Star Spruce Chapter #129, and was a Past Worthy Matron. Vera was also a member of Alberta Rebecca Lodge. She loved to garden and also raised beautiful flowers that made her yard a showcase of color for all who passed by their home in Eckert. 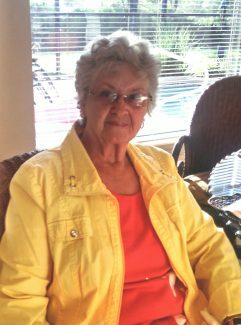 Those grateful to have shared in Vera’s life include her two sons: Thomas E. Aust and his wife Clea of Spanish Fork, UT, and Dr. Donald P. Aust and his wife Buzzie of Grand Junction, CO. She is further survived by eight grandchildren and fifteen great-grandchildren. She was preceded in death by her husband, Don Aust; a son, Stanley H. Aust; and a grandchild Diana Aust. Helen Arlene DeWoody Rodstrom, passed away peacefully on Monday, November 17, 2008, at Paonia Care and Rehabilitation Center. She was ninety-six year of age. Helen Arlene DeWoody was born to Erle DeWoody and Mary “Fannie” Frances Nagley on January 24, 1912, in Cashmere, Washington. After the death of her mother, Erle and Helen moved to Paonia. Erle met and married Katherine “Kitty” Johnson DeWoody (the mother who loved and raised her). Helen attended public schools in Paonia, and graduated from Paonia High School in 1930. She furthered her education at a nursing college in Colorado Springs. Helen married the love of her life, Edwin Gustav “Jack” Rodstrom on July 6, 1936, in Montrose, Colorado. The couple farmed and ranched on Fruitland Mesa for over fifty years. Jack preceded Helen in death on June 1, 1994. The couple was married nearly fifty-eight years. Helen was a loving wife and mother. 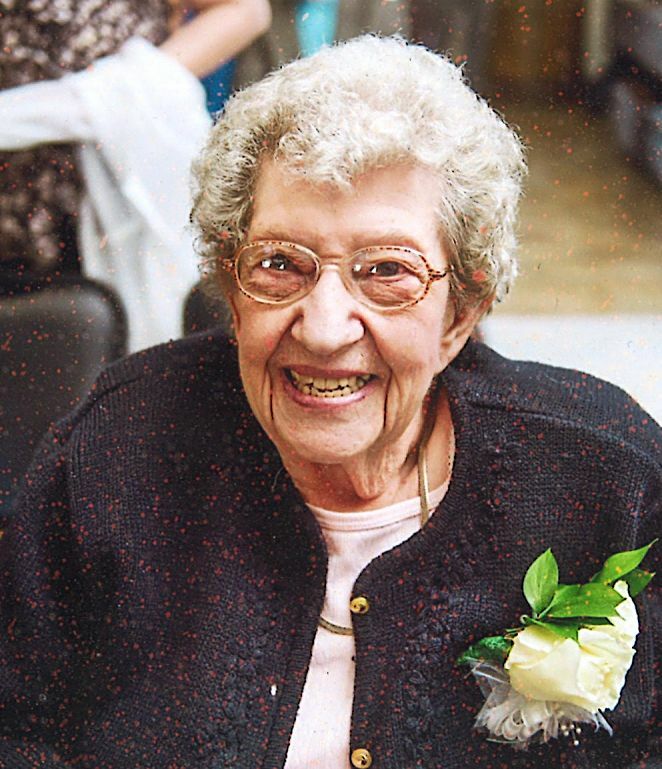 She was a member of several organizations throughout the community including: the United Methodist Churches in Hotchkiss and Crawford, small school and church groups, Cowbelles, Woodmen of the World, Fruitland Mesa Club, Senior Citizens Group, and the Thrift Shop of Crawford. Her interests included growing beautiful flowers in her garden, crafting, braiding rugs, playing cards with family and friends, traveling in her trailer, and cooking her famous meals. More importantly, Helen loved to spend time with her grandchildren and great-grandchildren. Helen is survived by her son, Charles “Chuck” E. Rodstrom and his wife Joanne of Cortez, CO; one daughter, Barbara A. Whitmore and her husband James of Denver, CO; and one daughter-in-law, Kathleen (Don-preceded in death) Rodstrom of Cedaredge, CO. She is further survived by eight grandchildren and ten great-grandchildren. Helen was preceded in death by her loving husband, Edwin Gustav “Jack” Rodstrom; two sons, Larry Erle Rodstrom and Donald Keith Rodstrom; and one brother, Wilson Erle DeWoody. Emery Gustav Anderson passed away November 16, 2008. He was born in Emery, South Dakota, to Rosamond and Gustav Anderson. He grew up on a farm near Salem, South Dakota, where he graduated from high school. He was a Navy Veteran, having served aboard the USS Intrepid. He received a degree in Agriculture Economics from South Dakota State University and a MA from Montana State University. He married Loyce Reifel on June 8, 1957, in Brookings, South Dakota. After receiving his Masters, Emery taught Ag Economics at North Dakota University. He was subsequently employed with the Cooperative State Extension Service. 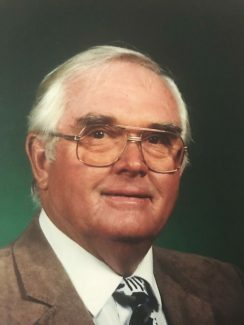 He began as a county agent in Roosevelt County, Culbutson, Montana, then moved to Delta, Colorado, as a Marketing Specialist for the Tri-River area Extension Service where he worked from 1964-1971. The next move was to Hesperus where Emery headed a Farm Management Association in the Southwest counties of Colorado. In 1974 he was transferred to Holyoke in Phillips County, Colorado. 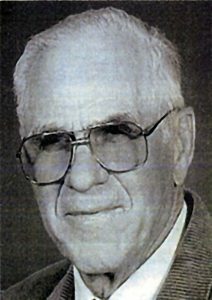 He remained in Holyoke as the Horticultural Specialist until his retirement in 1991. During this time, he spent a six month sabbatical leave teaching Ag Economics at the Universidad Autonoma de Guadalajara and living in Chapala, Jalisco, Mexico. After retirement, Loyce and Emery moved to Saratoga, Wyoming, and then back to Delta in 1998, spending winters in Arizona. Emery is survived by his wife, Loyce; daughters Lisa (Bill) Moss, Laurie (Jonathan) Elendu and Valerie (Landon) Cox; sisters LuAnn Johnston and Nancy Rose; brother Marlow; seven grandchildren, one great-grandson, and many nieces and nephews.